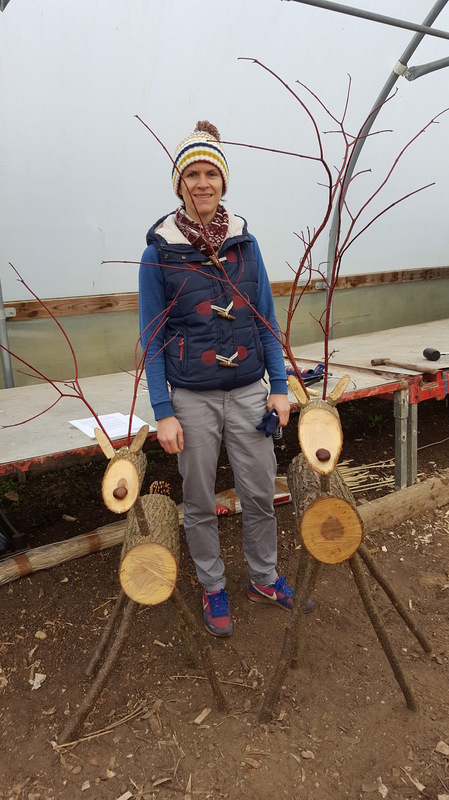 We made garden reindeer by attending the reindeer making workshop at Wimpole Estate. 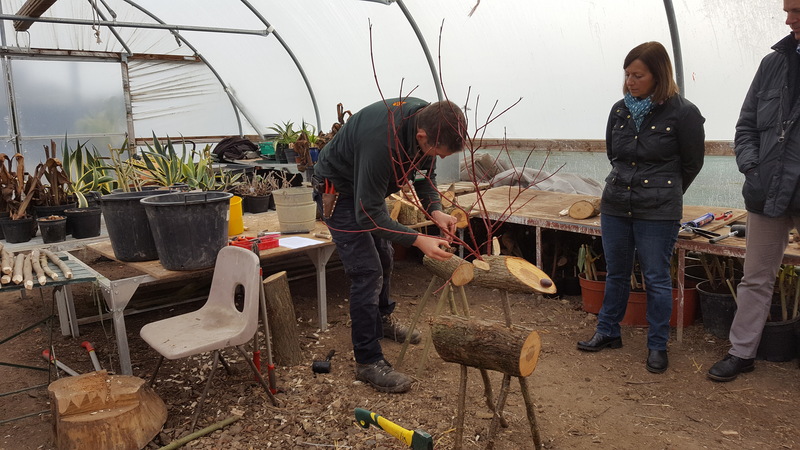 Ciaran, from the gardening team, made it look easy as he demonstrated how to do it. 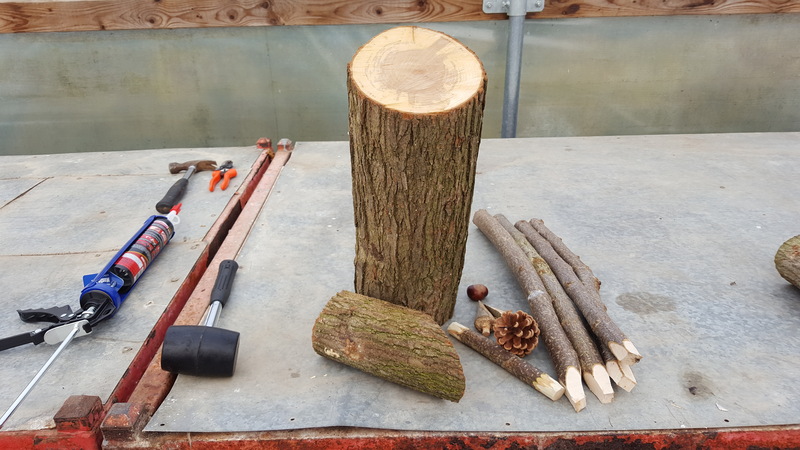 Ciaran had kindly drilled the holes already so we just had to fill the holes with glue and set about assembling our masterpieces. Transporting two reindeer in a Renault Clio was probably the trickiest part. 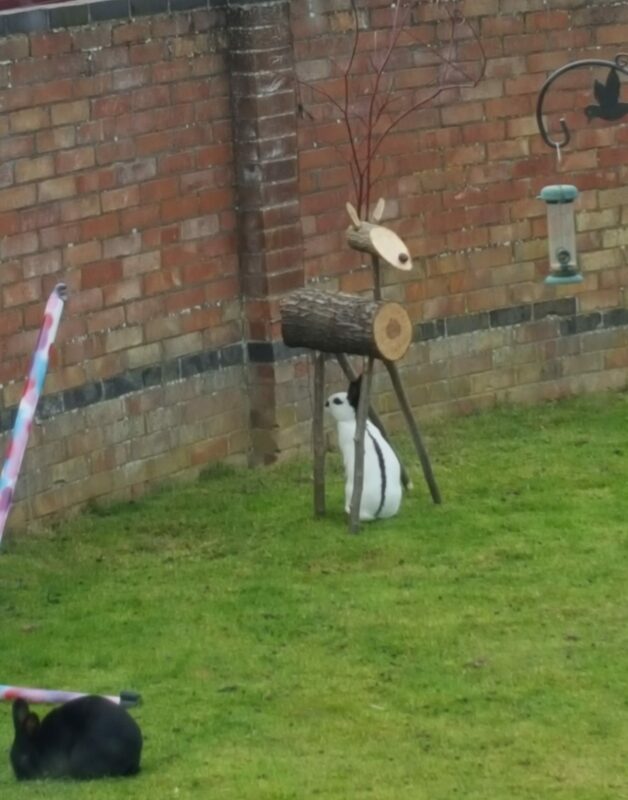 One reindeer went to live at the Moomins’ house and the other was released into the wilds of our garden where it was soon greeted by the other residents. 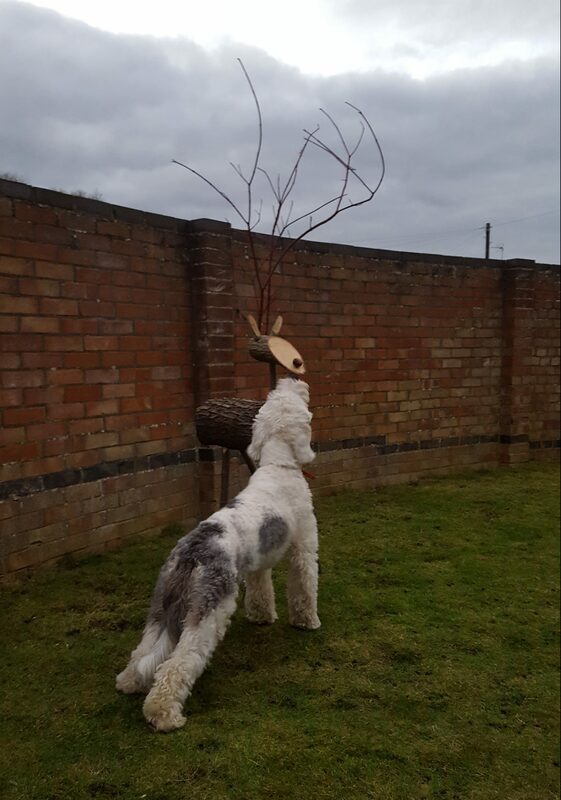 Fozzy greeted the reindeer nicely and then decided she needed to get to know it a little better by sniffing it’s bottom. 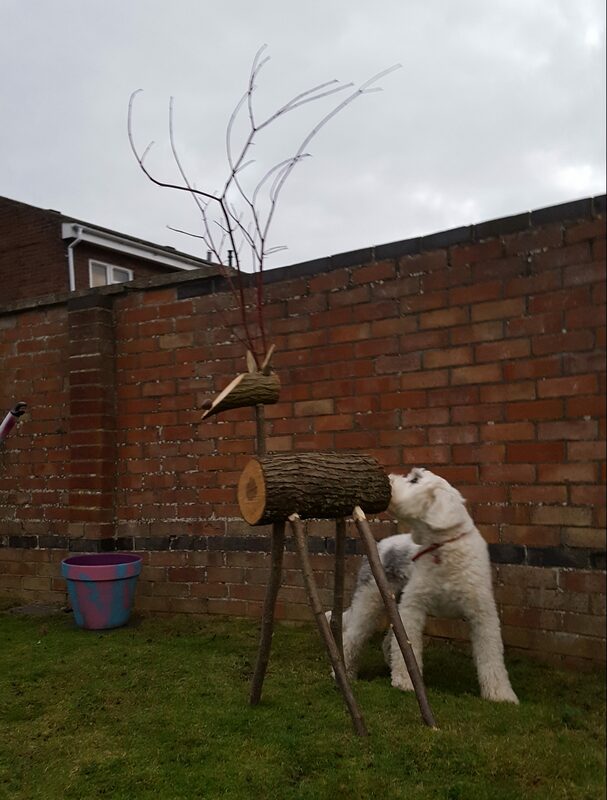 Getting to know the reindeer better!